President Barack Obama on Tuesday called on Congress to take several steps to make it more difficult for so-called patent assertion entities (PAEs) to collect money from alleged infringers of their patents. PAEs, often called patent trolls, are patent-owning companies whose main business model is demanding license fees instead of making products based on their patents. Congress and the White House need to take steps to curb patent abuse by companies that "essentially leverage and hijack somebody else's idea and see if they can extort some money out of them," Obama said in a statement. Lawmakers in both the Senate and the House of Representatives are also pushing for bills targeting patent trolls. 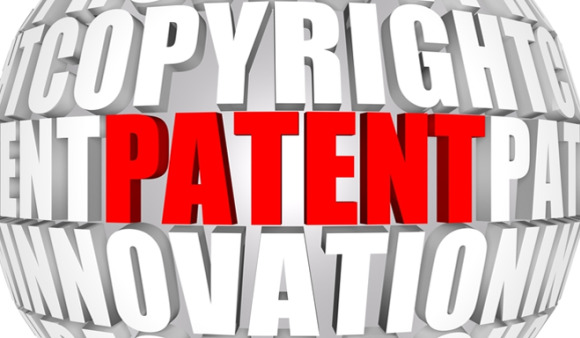 Patent holding-companies have defended their actions, saying their ownership of patents allows them to attempt to collect licensing fees or court awards from infringers. Even after Congress passed a patent reform law, the America Invents Act, in 2011, many tech companies and digital rights groups have continued to complain about abusive actions by PAEs. In 2012, companies defined as PAEs filed more than 2,500 lawsuits, about 60 percent of all patent lawsuits in the U.S., according to a report released Tuesday by the President's Council of Economic Advisers, the National Economic Council, and the White House Office of Science & Technology Policy. That's about 1,000 more lawsuits than PAEs brought in 2011, the report said. In 2010, PAEs brought just 731 patent lawsuits, representing 29 percent of all patent lawsuits filed, said the report, referencing research by Colleen Chien, a professor at the Santa Clara University School of Law. Obama also asked Congress to pass legislation providing incentives for patent-owning companies to make their licensing fee demand letters public, and to allow district court judges more discretion in awarding attorney's fees as a sanction for abusive patent lawsuits. Congress should also require companies that send demand letters, file infringement lawsuits or seek a patent review by the U.S. Patent and Trademark Office to file updated ownership information, allowing transparency about who is bringing those actions, Obama said. The new challenges for patents on computer-enabled inventions endorsed by the White House would be part of a post-grant review proceeding at the USPTO for business method patents. In addition, the Obama administration will take steps to address PAEs, the White House said. The USTPO will release new educational materials for small businesses targeted in patent lawsuits, and the agency will provide new training for its examiners on overbroad patents, particularly software patents, the White House said. Obama's call for new efforts targeting patent trolls earned praise from some tech and digital rights groups. "The patent system exists to protect innovation," Morgan Reed, executive director of trade group the Association for Competitive Technology, said in a statement. "It should not be a weapon to shake down small businesses." Digital rights group Public Knowledge said it is "encouraged by the groundswell of bipartisan support for curbing abusive practices in the patent system."